Custom Written Papers. Free Plagiarism Report. Free Plagiarism Check. Are you concerned about the quality of your paper? Don’t you trust anyone anymore? Do you think that if a paper is written within short deadlines it is plagiarized? Well, all of these concerns are not groundless, BUT not with PhDWorks.org!!! Welcome to the PLAGIARISM FREE ZONE! No more worries about plagiarism! What happens once your order is completed? After your order is written and proofread by editors, it goes to the next stage – FREE plagiarism detection. How do you check custom written papers for plagiarism? At our writing service we scan each of the custom written papers with the help of a special plagiarism detection program. If any instances of plagiarism are detected, the plagiarism checker notifies and gives a list of the links to the sources this information was taken from. Will my paper be stored in a database after being checked for plagiarism? No, this is out of question. After being checked for plagiarism with our detection software, it will not be automatically added to any of the databases (like TurnItIn). Your paper is guaranteed to be quality and authentic. How can I be sure my paper is non-plagiarized and was actually checked for plagiarism? To make you sure your paper is written from scratch and is one of a kind, we send you a FREE plagiarism report along with each of your orders. 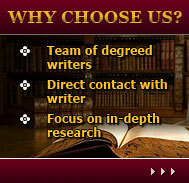 Free plagiarism detection service is what you get every time when ordering with PhDWorks.org.